The EIT RawMaterials Academy is offering training on Risk Assessment in Projects. The aim of the training is to improve currently running and future funded projects through better project management, achieved through increasing the risk management capabilities of those managing and delivering EIT RawMaterials projects in Upscaling and Education. Session 1 of the course will take place from 4 to 5 December, with a second session taking place from 6 to 7 December. This course is exclusive to EIT RawMaterials partners and staff. 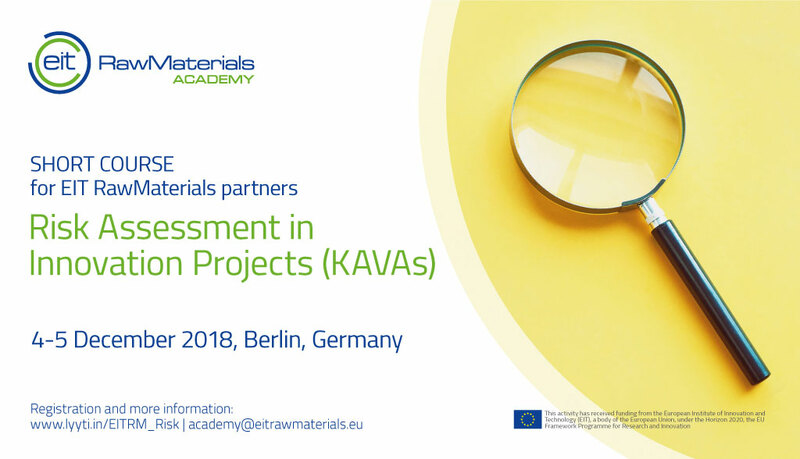 For more information, please contact academy@eitrawmaterials.eu.